Stainless steel is a contemporary design alternative to chrome and gold bathroom fixtures and is also very corrosion resistant. 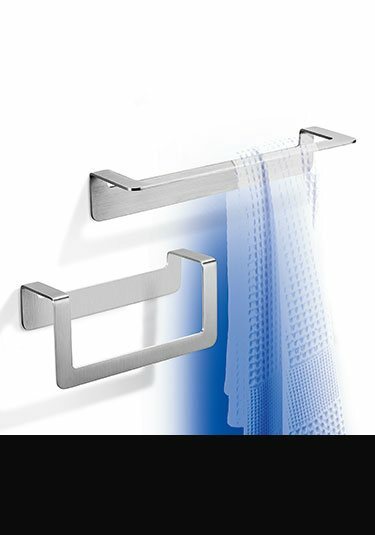 We have full collection of stainless steel bathroom accessories in a brushed satin finish. Within this range of designer bathroom fittings we offer stainless steel towel rails and towel rings, stainless steel soap dishes and toothbrush holders with frosted glass cups and soap plates plus brushed stainless steel toilet roll holders and wall and floor standing toilet brush sets. These bathroom fixtures and fitting are very minimalist in design are beautiful luxury Italian quality and supplied with a 10 year guarantee. Lovely European quality, wall mounted stainless steel soap dish with glass insert plate. Part of a full luxury collection in latest Italian styling. 10 year guarantee. 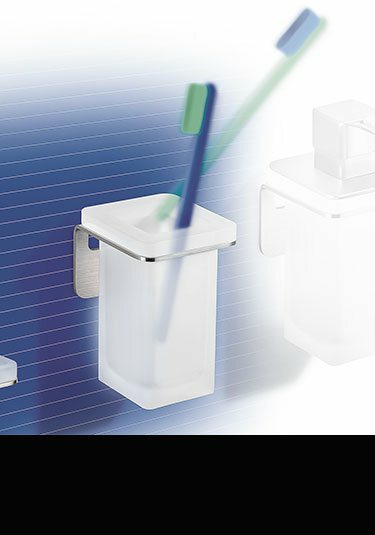 This luxury glass and stainless steel tooth brush holder in the latest contemporary style. Quality Italian manufactured with a 10 year guarantee. 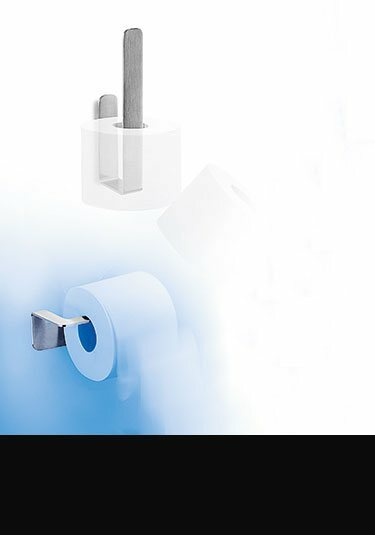 Latest contemporary toilet roll holders made in brushed stainless steel and styled Italy. 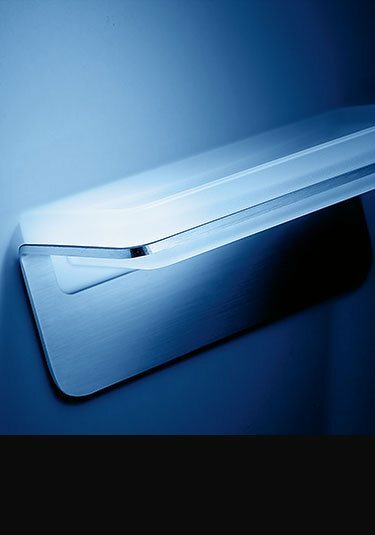 Part of a full stainless bathroom accessory collection and supplied with 10 year guarantee. 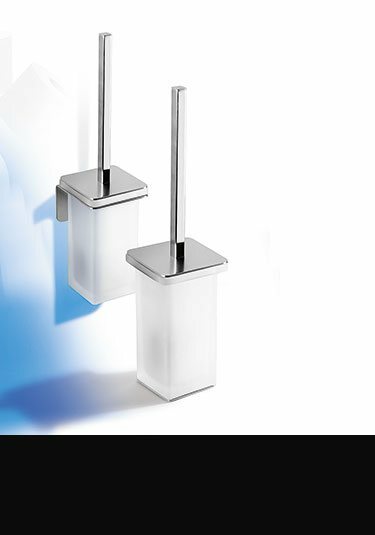 Luxury Italian quality these stainless steel toilet brushes and holders can be floor & wall mounted. Supplied as part of a larger collection of contemporary bathroom fittings and supplied with a 10 year guarantee. 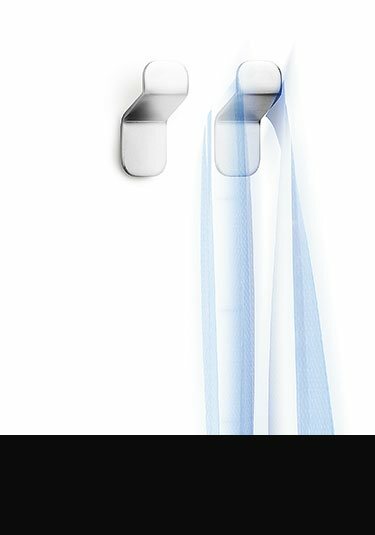 Italian contemporary styling and beautiful quality, these stylish stainless steel bath robe hooks are finished in a brushed finish. Part of a full bathroom fixtures and fittings collection with a 10 year guarantee.